I interviewed Su Williams on my blog once but now that her trilogy is completed, here are the three books reviewed and showcased. 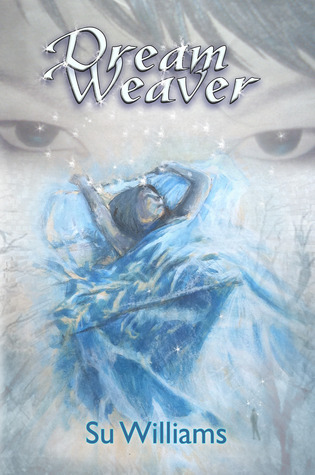 “Dream Weaver” by Su Williams is a very original and cleverly told story. Its heroine is a 17 year old orphaned girl named Emari and she is a great brave character who has a lot to deal with: From nightmares and painful flashbacks to physical attack and living and looking after herself all alone. With a cryptic prologue and an early dream sequences the reader is quickly drawn into a sophisticated style of narrative that opens their minds to the complexity of dream manipulation and other supernatural powers. Written primarily for young adults the book nevertheless handles some tougher issues, including some scary moments but also a bit of romance between Emari and a Dream Weaver named Nick. I am not a regular reader of paranormal books but the book was recommended to me by a friend whose judgement I value. I might have benefitted from not knowing anything about the concept of Dream Weaving which made the story a very unique and original story for me. However, the lead characters were well chosen and set up. This is a very enjoyable read, not just for younger readers. Manipulation of memories and dreams is a really fascinating concept and Williams knows how to make it interesting. 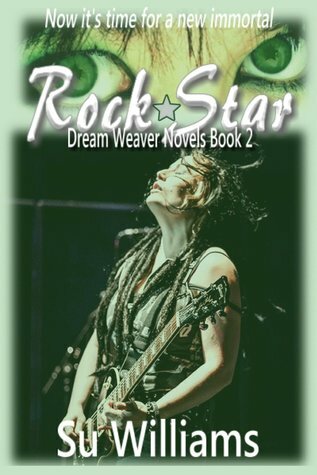 In this book Emari Sweet lives the life or dream of a popular rock star on tour, with bouncers, a stalker and with some very odd dreams on top of it. Just as sophisticated and clever as the first instalment of the series the book understands to ‘work’ the idea and weave what appears various sets of realities and dreams. Emari is a great character with strength and confidence but also some weakness, her life as rock star is quite convincingly portrayed and the dark paranormal aspects of the story unfold nicely throughout the book. Very clever and very enjoyable. 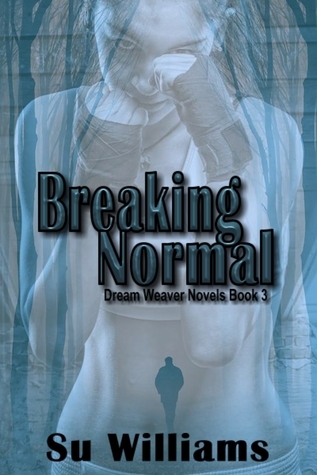 “Breaking Normal” by Su Williams concludes the amazing Dream Weaver Series and does so perfectly. Without giving too much away of the plot, Emari really comes into her own in this book, becoming a really strong heroine. The author has struck some more serious notes in this book, but that fits in well with Emari’s own growth. I am still in awe with the concept of the Dream Weavers. This time the narrative and the story are taking a new direction, which keeps the series fresh and entertaining. This is not a repetitive formula series but one where every book has a unique character and subjects. Action packed and in places a bit dark for a young adult series it is well written and keeps the suspense throughout. Brilliant character development and a fantastic ending. Highly recommended. I confess…I’m a bit of a dork, with a quirky and sometimes dark personality, though not as dark as some. I love the outdoors and nature, and photographing normal, everyday things from different and abnormal angles. One of my photos has been published in the political humor book Red Dog/Blue Dog by Chuck Sambuchino. 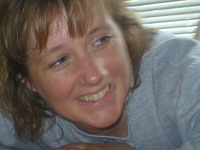 Legally, my name is Susan Barton, but I write under the pen name Su Williams (my maiden name). I am a 48 year old mother of 4, Sarah, Josiah, Jack and Aundraic. I’m married to Ben and we have 2 cats, a garder snake, a crested gecko named Reid (like in Criminal Minds) and a beagle, Dyson (yes like the vacuum) who is my favorite teddy puppy. I was born in Little Rock, AK. My daddy was military and my parents finally decided that Spokane, WA was the place for us and this is where I’ve lived since I was about 10. I always wrote special poems for family birthdays, and began to write short stories in Jr. High. Many years later after a self-esteem building program of hypnosis, and reading Twilight, I was inspired. I said, “I could do that.” So I did. Dream Weaver has been 4 years in the making, as I’ve learned the ins and outs of the literary process. That is an ongoing endeavor. My goal is to get Dream Weaver into the hands of people who will love Emari, Nick, Eddyson, Sabre, Ivy and Jesse as much as I do. Dream Weaver is the first of 3 planned novels. The second is called Rock Star in which Emari lives the life of a rock star and discovers that Nick is really not who he claims to be. Finally, in Private Eye, Emari will team up with Officer Molly to solve some of Spokane’s open and cold cases and will unveil the truth behind the crash that killed Emari’s parents. Thank you, Christoph! You are so amazing! I can’t tell you how much this encourages me. Due to some forced changes on Amazon, I had to change my listing and since then, my sales have tanked. Thank you so much for helping to get the word out…it makes the frustration a little easier to take.